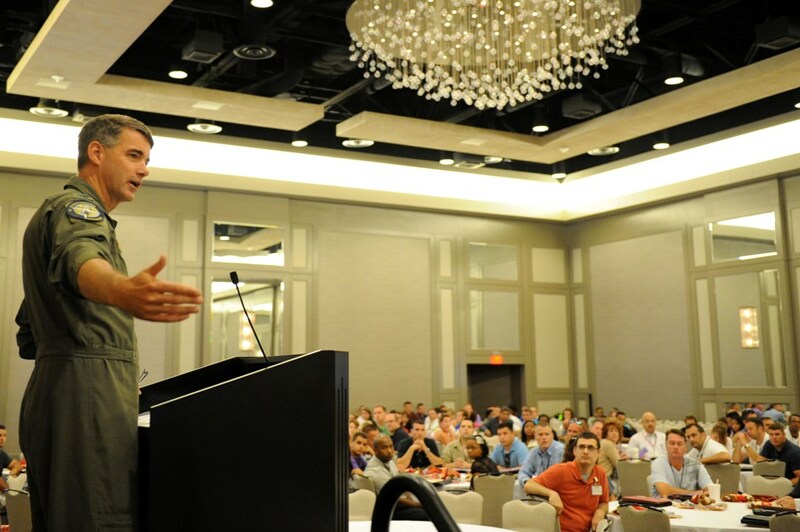 NEW ORLEANS – The Louisiana Air National Guard’s Yellow Ribbon Program hosted a first of its kind joint Yellow Ribbon Training Academy for over 400 Guard and Reserve personnel from various branches and their families in New Orleans, June 1-3. “White Balloons,” a song by the Australian rock band the Sick Puppies, was the theme for this unique training academy held at the Hyatt Regency Hotel on Loyola Avenue. Participants were encouraged to embrace the changes that undoubtedly occur when one deploys and to release a white balloon, thereby symbolically releasing any feelings they may have struggled with due to deployment. The training academy aimed to meet the unique needs of service members and their families who have been impacted by deployment. It also gave them an opportunity to network with fellow military family members and to learn about resources that are available to help them in all phases of the deployment cycle. “We want our participants to walk away with a sense of well-being, to realize that they are not alone in this and to have knowledge of the resources that are available to them,” said Danielle P. Trosclair, Louisiana Air National Guard Yellow Ribbon Program specialist. Attendees were able to attend a variety of breakout sessions offered by the Yellow Ribbon Program team and other service providers on various topics affecting families such as Community Resources, Coping with Challenging Child Behaviors, Social Media Guidance, Avoiding Deployment Burnout, Coping with Anger after Deployment, Suicide Prevention and Domestic Violence. “I’m so proud of the fact that we were able to bring together various branches of service because each of their unique experiences supplemented the value of this training academy,” said Trosclair referencing the fact that Navy, Air and Marine Force Reserves, and Louisiana Army and Air National Guard personnel were in attendance. “As a spouse and parent of a Louisiana Air National Guardsman, I know the value of these workshops and hope to impart some of what I have learned along the way to these families,” said Carrie G. Matirne, family readiness support assistant for the 139th Regional Support Group. Matirne has been a volunteer and/or employee with the Office of Family Programs for 14 years. Attendees were given ample time to decompress and enjoy the Crescent City as an opportunity to socialize with fellow military families throughout the weekend. The Louisiana National Guard Child and Youth Program had a slew of games and energetic performers available that entertained and educated military youth while their parents attended the training sessions. “I’m honored to be able to provide an engaging learning environment for military children,” said Angela D. Ott, Lead Child and Youth Coordinator with the OFP who spoke highly of the phenomenal programs and presenters that were invited to speak to the children. Motivational youth speaker, Patrick M. Perez, brought his unique “spin” to the youth by combining music and dance with relevant teen issues empowering youth to take responsibility for their choices, set healthy goals, accept who they are and seek out positive friendships. “I try to inspire my students to be part of something bigger than themselves,” said Perez who hails from Austin, Texas. “I genuinely enjoy what I do and try to use my past experiences to help people,” says the former bullied band nerd who’s found his element in dance and youth mentorship. The Youth Extension Service program, a national internship program that engages college students to meet the needs of military families and expands the resources of the Yellow Ribbon Program was also present. The innovative program allows staff interns an opportunity to give back to their communities and country through a year of service and serves as a career development program all while meeting the critical needs of communities with high rates of families impacted by deployments and other military related absences. “Our dedicated staff ensures that these young heroes have smiles on their faces and peace in their hearts as they learn coping skills and interact with youth who share in their experience,” said Ott. 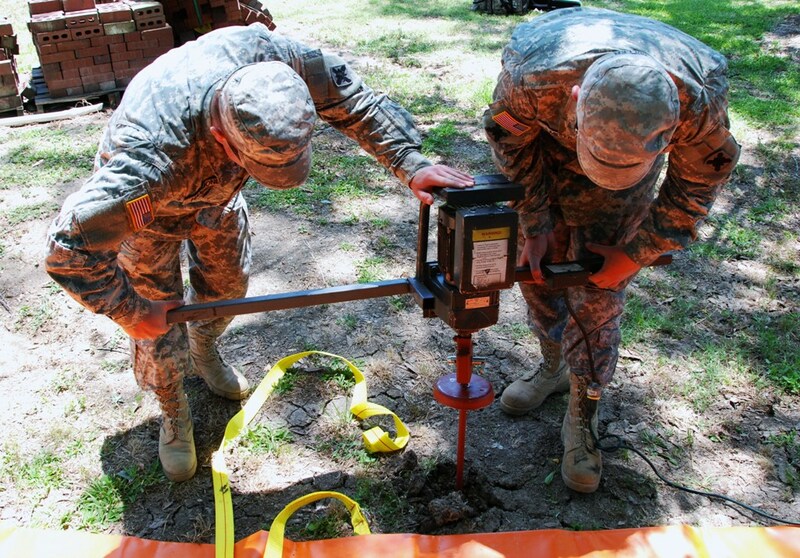 “It was good to have all of these resources available in one location, especially for our traditional Guardsmen,” said Master Sgt. Todd L. Naquin, 159th Maintenance Squadron aircraft metals technician. The Thibodeaux native says he feels well prepared for his upcoming deployment and found the training academy very informative.